My beloved Fender Stratocaster (FSR Classic Player 50s) usually is my weapon of choice but when I enter heavier territories it lacks the fat Humbucker tones I get out of my SG or Les Paul. To get both styles in the same guitar I ‘ve been looking around and found the Hot Rail Humbucker from Seymour Duncan. 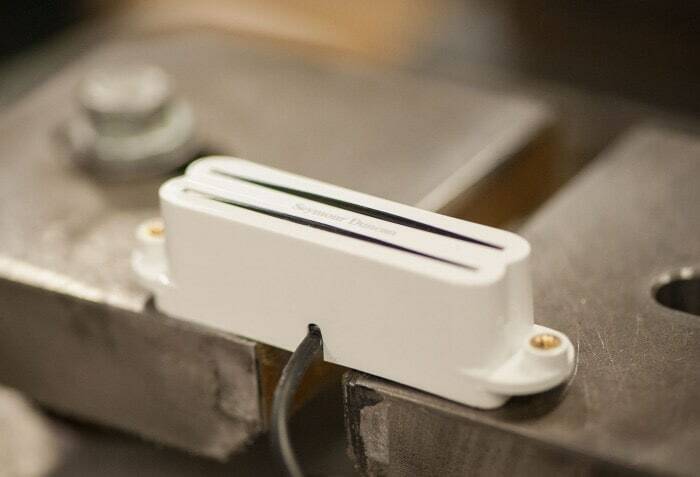 It is a Humbucker in the style of a regular single coil pickup and it also comes with the possibility of coil splitting so it can be a fat warm Humbucker and a single coil. 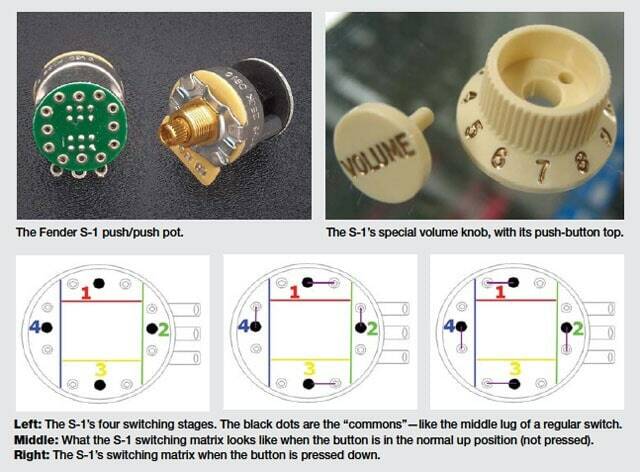 One thing I do not like with coil splitting are the regular push/pull switches because I think they are kind of “in the way” when pulled, especially on a Stratocaster. 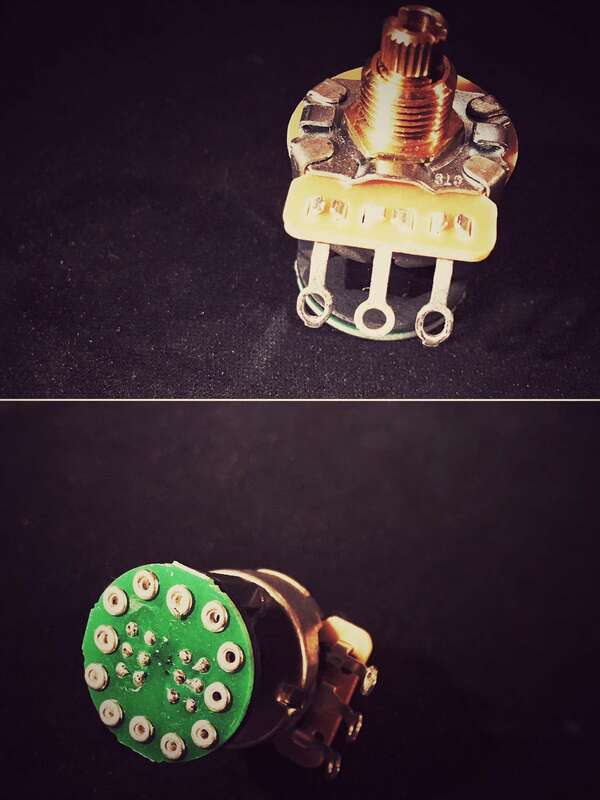 Luckily Fender realered the so called S1-switch which works like a regular volume switch plus push/pull functionality integrated in a decent way by pressing the tip of the volume knob. 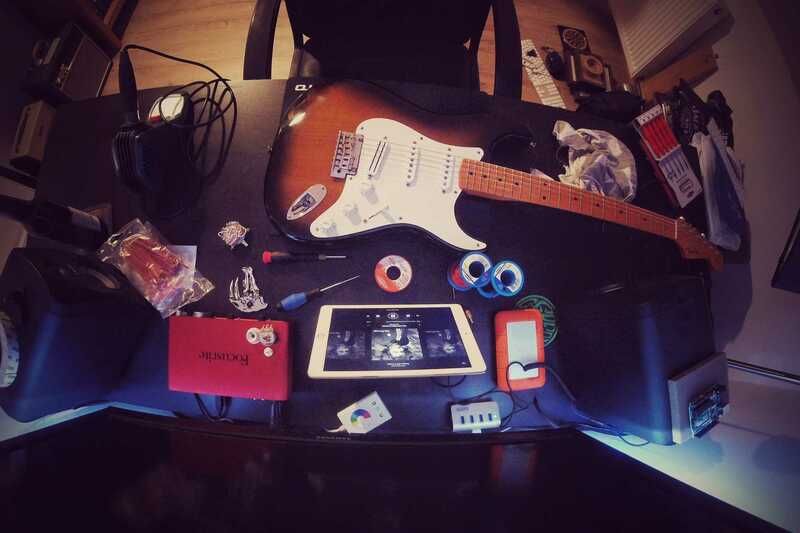 Actually these are all the components I needed to open up a whole new world of tone for my guitar! So let’s get started with the single steps. 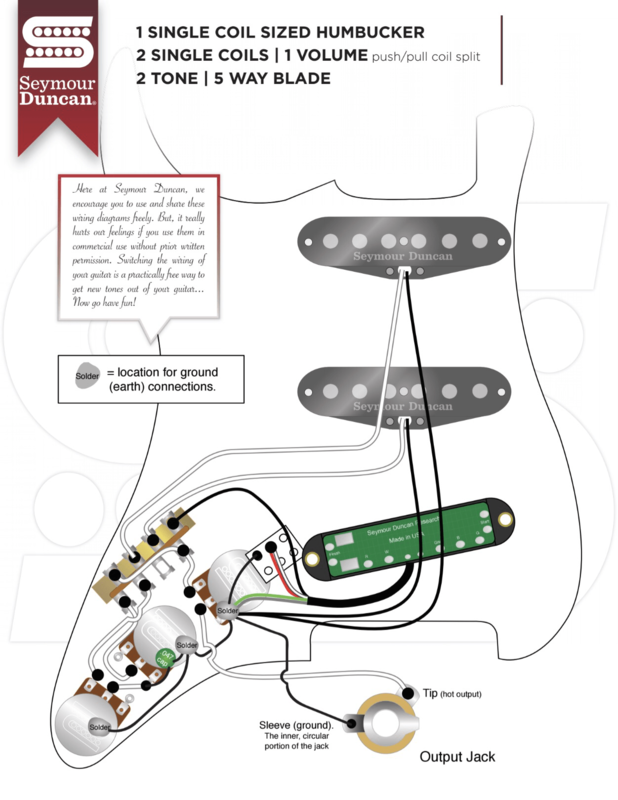 The wiring is pretty easy with the schematics which are provided by Seymour Duncan. I had to open up the isolation a bit because the single wires were a bit short. There weren’t any schematics in the packaging of the switch a quick internet search gave me a nice explanation from PremierGuitar as you can see here in the image below. In short you just have to connect coil split cable of the pickup with position 1 of the switch which means that coil split is active when the button is pushed. One thing I don’t like that much in a classic Stratocaster wiring is that your bridge pickup isn’t tone controlled. 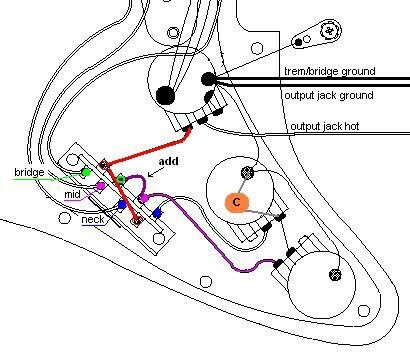 But this can be adjusted easily by soldering a connection between the middle tone knob and the bridge pickup. Also here, a quick search gave me all I needed to connect the new pickup with the middle tone knob. Oh, and since I am a GoPro fan I did also a rather boring time lapse video of the whole “operation”!